In honor of world down syndrome day, Iam breaking from my usual herbal musings, recipes and DIY, to celebrate and share about our son Jojo! 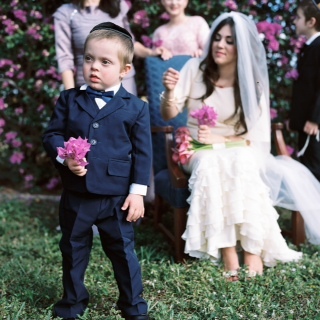 Here he is a year ago, 4 years old, at his sister’s wedding. Jojo shared in our excitement about everything for the wedding. He loved how he looked in his new suit, couldn’t wait to wear his new shoes, kept telling everyone that he had a new suit and new shoes and that his sister was getting married! He was even excited to wear his bow tie…although it was the first thing to go, when he felt the novelty of the “new suit” wearing off, and thankfully decided that pants and shirt could stay on! Best of all he has a new brother in law who he loves and who loves him back just as much, if not more. After the wedding, he told us soon it would be his wedding and that he wants to get married too. We are obviously overjoyed to hear this and hope and pray that this will indeed, come to fruition in the future, although I think he has lots of time and a little more growing to do. Jojo, definitely has a plan and lets everyone know. he talks up a storm and knows he is cute, he’s quite the charmer. He is still doted on by his siblings (being the youngest of eight, has it’s perks). Since we homeschool, he has the advantage of constant interaction, there is always someone to read to him, play with him and even argue and make trouble with. Having older brothers has even enriched his language to include words I honestly would never have thought of teaching him, but he get’s it- he get’s the silly talk, the potty talk, you name it. So, while I guess I shouldn’t be proud of all his language skills, I secretly smile, you know that big inner smile that starts in your belly, fills your heart and spreads from ear to ear, stretching yours cheeks – till you feel the tears…Yes, that’s it, my Jojo “gets it”. He is really more alike than different ! Jojo, is the blessing that we never knew we wanted or needed, and we feel so enriched by him. Yes, there are challenges; some days can be tiring, many nights are still spent reading and researching. I will probably always ask myself, “am I doing enough?”. I don’t have enough time to do all that I dream of and plan to implement. I will probably always think about his future. But, mostly we live in the here and now, dealing with just regular day to day stuff, you know the stuff of parenting and raising kids. From the mundane of “whats for dinner tonight” to the exciting and wonderful ” oh my gosh, he toilet trained!”. This has been a busy year for all of us, Jojo has grown and learned so much. While I can go on and on about him, I am also wary of perpetuating the misinformed image of kids with down syndrome having a permanent happy disposition. I feel it is so important to educate everyone that this is not true! Most kids with down syndrome can have bad mood days, throw tantrums, get feisty, cry, get their feelings hurt and pretty much run the gamut of emotions that all other kids do. Jojo is no exception, he has had his share of tantrums, he pouts, and sometimes he just seems to wake up on the wrong side of the bed (not unlike some of his siblings). Jojo has favorite toys, things he dislikes with a passion and like most kids his age, he just wants to have fun. Jojo loves playing, running his trucks through the mud, getting down and dirty. In fact he just wants to drive already!